With our great pleasure we announce the 2020 5th International Conference on Intelligent Information Technology (ICIIT 2020) will be held in Hanoi, Vietnam during February 19-22, 2020. ICIIT conference series will be held annually to provide an interactive forum for presentation and discussion on Intelligent Information Technology and related fields. Aside from researchers in Vietnam, the conference group welcomes participants from all over the world who are interested in developing professional ties to and/or exploring career opportunities in the region. The conference should serve as an ideal forum to establish relationships from within Vietnam and other countries of the world. We hope you will join us in Hanoi, Vietnam for ICIIT 2020. Option A: Conference Proceedings, which will be indexed by Ei Compendex and Scopus, and submitted to be reviewed by Thomson Reuters Conference Proceedings Citation Index (ISI Web of Science. 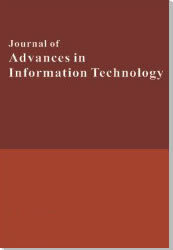 Option B: Journal of Advances in Information Technology (JAIT, ISSN:1798-2340 ), which will be indexed by EI INSPEC; EBSCO; ULRICH's Periodicals Directory; WorldCat; CrossRef; Genamics JournalSeek; Google Scholar; etc. Presentation Only: For those who do not want to publish paper, abstract can be submitted for reviewing of presentation. One Best Presentation will be selected from each session. The Certificate for Best Presentation will be awarded at the end of each session. © Copyright 2020 5th International Conference on Intelligent Information Technology (ICIIT). All Rights Reserved.